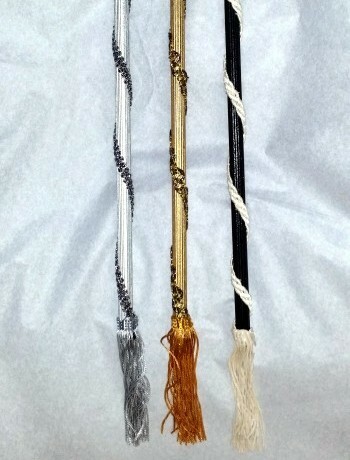 Our Gentlemen customers love the Antonio range and here it is with a stick added for anyone who wears glasses. 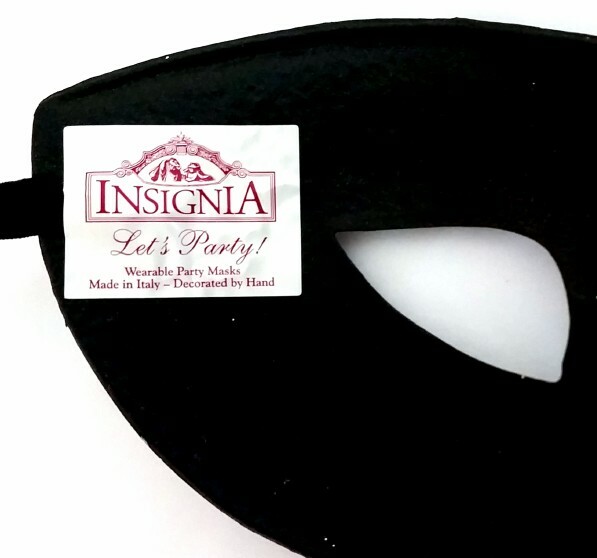 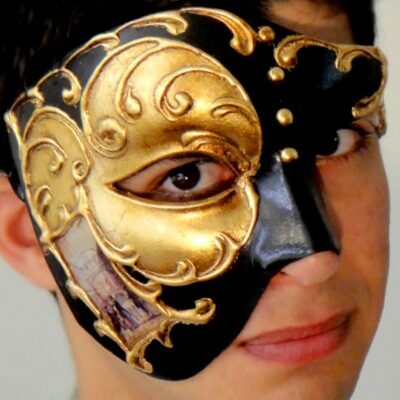 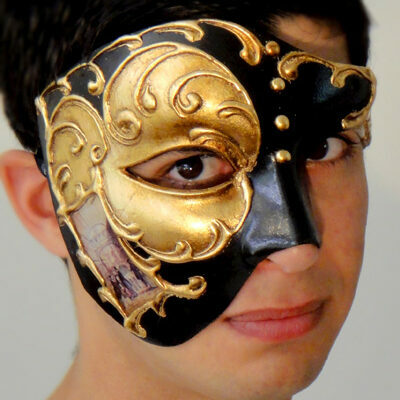 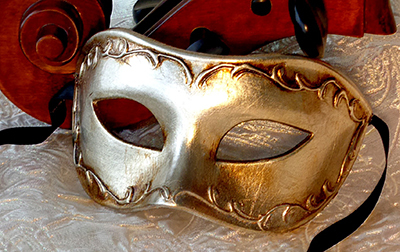 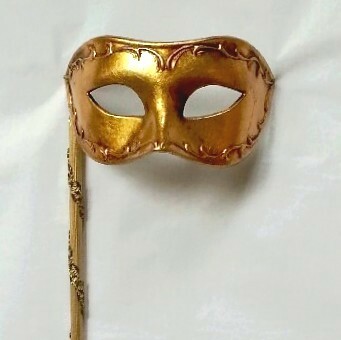 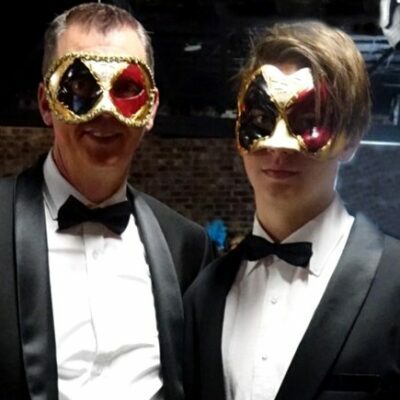 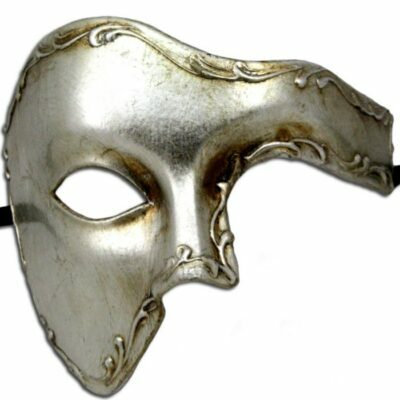 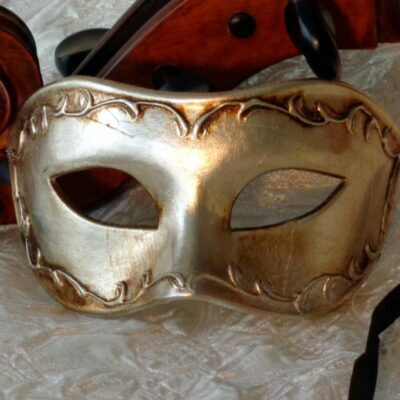 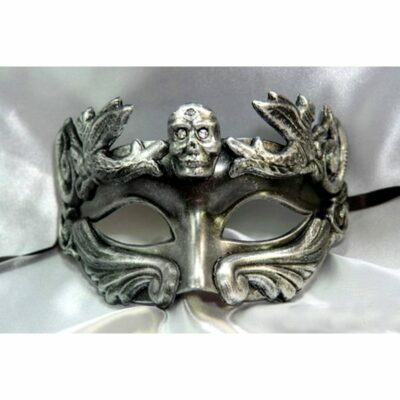 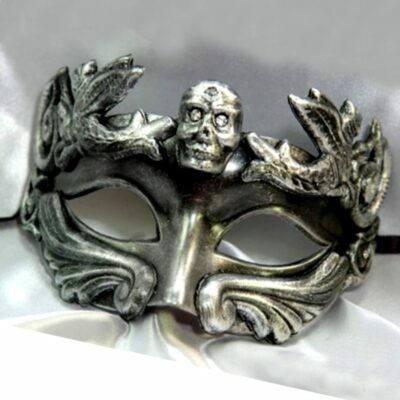 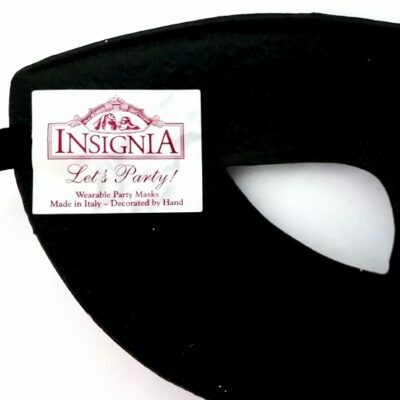 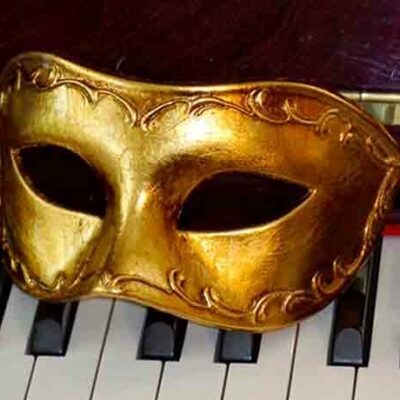 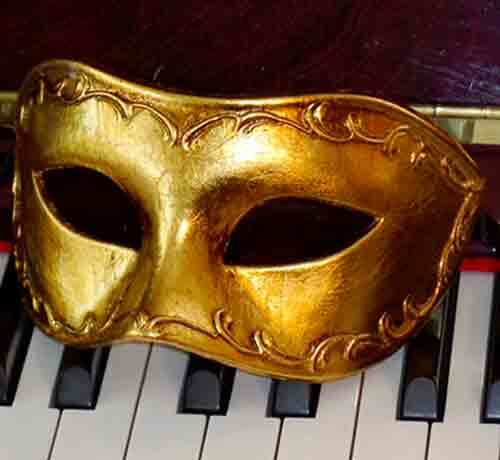 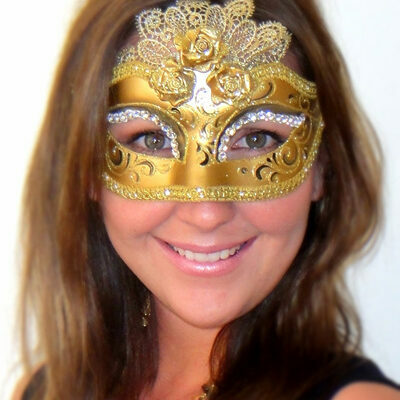 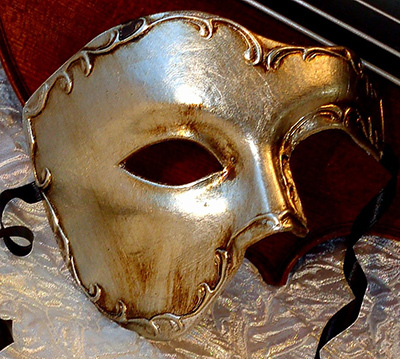 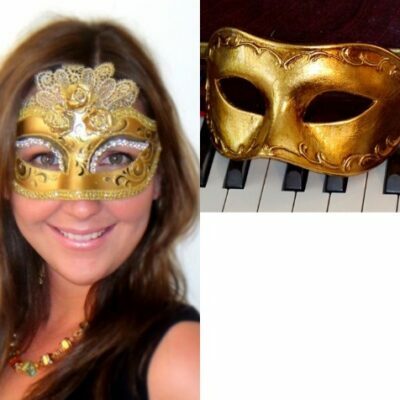 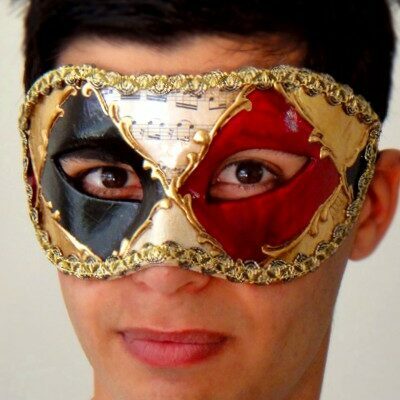 The mask is made in Venice Italy, embellished with antique Gold Leaf which has a lustrous quality. 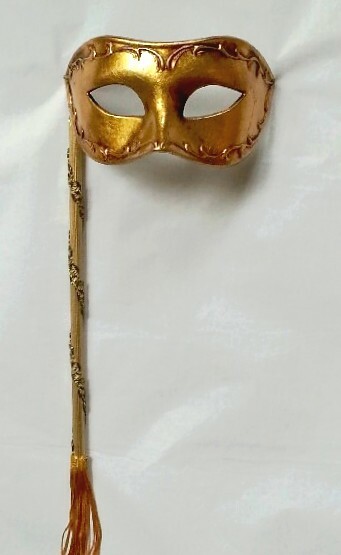 A hand piped border decorates the mask which is excellent quality and very dramatic in Gold.